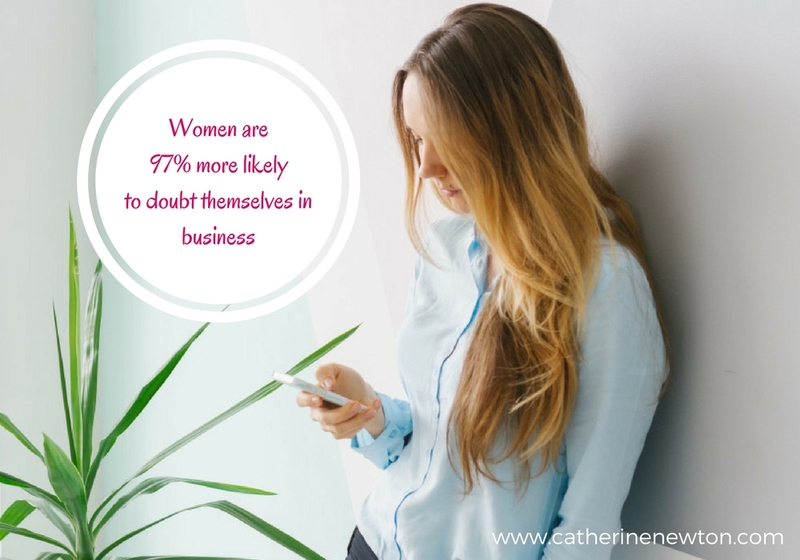 08 Mar Women are 97% MORE LIKELY to doubt themselves in business. Here’s what to do. This week we are celebrating all women. In honour of International Women’s Day on March 8th, I want to acknowledge all of you who are daring enough to start your own businesses, rise in your careers, share your stories and step into your truth. Especially in the wake of statistics that tell us that women are 97% MORE LIKELY to doubt themselves, and their ability to make an impact. Women are more doubtful than men when asking for the sale, getting a promotion, making enough money, and who to connect with. Men continue to get promoted faster and be paid more. The statistics are well known: at the top, especially, women are nearly absent, and our numbers are barely increasing. And so we need to acknowledge the rise of the courage of women stepping into starting their own businesses. It takes courage. It takes confidence. And confidence is one thing we need more of. Having coached, mentored, taught and led women for decades now, I am still surprised to discover the extent to which women suffer from self-doubt. “Do men doubt themselves sometimes? Sure. But not with such exacting and debilitating effect, and they don’t appear to let their doubts stop them as often as women do. If anything, men appear to err on the side of being overconfident —which is often attributed as a sign of strength. The truth is we all experience doubt on some level as statistics shows us. Even some of my high level female clients and business owner friends have days when they doubt themselves. Am I being in my TRUTH here? Is this what I’m REALLY here for? Running a successful business requires me to show up every day, write every day, connect every day. And everyday I am constantly learning. Making mistakes, doing one thing right and 3 things wrong because I’m prepared to go out on a limb and try new things. 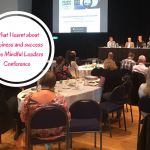 The cost of doing business at this level requires new ways of doing things, learning to ‘disrupt’ the market and to build connections, credibility and visibility. Really? Can I actually do this? Henry Ford said whether you think you can or think you can’t, either way you are right. And so I catch myself. And I see what I’m doing. I remember what I’m here for. Why I jump out of bed most mornings and get on with IT. It’s because I made a decision when I started working for myself, that I would do what it takes. That I would show up every day. That I would ‘think’ I can (and know it!). That I would ‘faith’ it til I made it! The truth is if I wasn’t doing this I wouldn’t be happy. I freakin LOVE what I do. It’s actually the BEST job in the world where I get to make a difference, helping people everyday. BUT here’s the next level of truth. Doubt sets in when I take my finger of the pulse of my business. When I faff around. When I don’t write, or lead workshops or coach clients or show up. Doubt sets in when I don’t take responsibility. And I think of all the people who think my light shines too bright. Who think I’m too much. Or who find my eternal optimism annoying. Or who I’ve managed to upset, offend or peeve. For a moment I let that affect me. I convince myself that I never wanted to step up into this role. I mean, seriously, who am I to think that I can make a difference in people’s lives? I never wanted to be the messiah. (Wait even that word is too much…really, the Messiah?!) It’s not that I even see myself as that but I’m having to show up every day and I because I AM my business I’m leading everyday. I’m the FACE of my business everyday. Wouldn’t it be easier to be like the Messiah in Illusions, by Richard Bach, who one day asks God what he should do if he wanted to be happy. God replied, “do whatever you like.” And so he quit. Wouldn’t it be easier to quit. To run away from it all. Because like you. I was BORN to do this work. I was born to LEAD. To teach. To inspire. To show up. It’s in my DNA. Just like your passion is in yours. So when doubt sets in….I want to suggest you do the same as I do….you write, and write and write. I do. Only up until now I haven’t shared a lot if it publicly. Sure I’ve shared some, but I’m actually quite a private person. (Until you work with me, then you get all my truths about life and business!). And once you’ve written, you share it. You let your tribe, your community, your groups, see your vulnerability. And you do this until your ‘people’ see you, until they find you. And find you they will. Like moths to a flame. But you’ve got to do what I did. You’ve got to make a decision. With confidence. 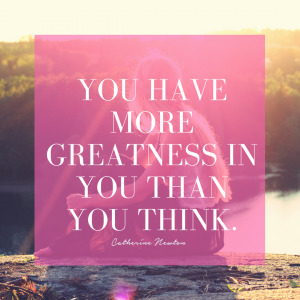 Because you need to be your biggest internal cheerleader. Then you’ve got to surround yourself with your biggest supporters who will help you and your business idea or your product or service shine. 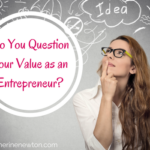 Who will encourage you to show up and get up and add value to your clients lives. Because we ALL need support. YOU’VE GOT TO STICK TO YOUR DECISION. Because when you do people will notice. They’ll FEEL it. They’ll be drawn to you. They’ll seek you out and WANT to work with you. Then the flow will happen. BUT you’ve got to push through the contrast. Through the contraction. So, as we celebrate International Women’s Day, I implore you to SHOW UP, to step into your power of WHY you are here. To push past the doubt and RISE UP. Do this for your family. Do this for who you are here to help. We’ll push through that doubt like no tomorrow and get you being the flame, attracting clients, building your business idea and showing up with confidence.